Please visit debragroesser.com to see more outstanding artwork. Since our incorporation in March of 1978, Keyboard Carriers has moved over 100,000 pianos and keyboards. We specialize in only two services: moving and storing pianos. Although we don't tune, refinish, rebuild, repair, rent or sell pianos, we have many clients who do all of those things, and we are happy to give you a recommendation. How have we stayed in business for more than 40 years and become known in the industry as the best piano moving company in Colorado? The simple answer is our philosophy of what it is we are actually moving. A piano is wood and metal, strings and keys, but it is also so much more. 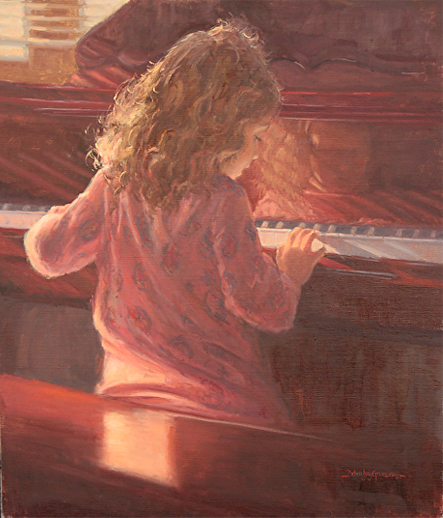 It is memories and emotions and family connections, countless intangible factors that make each piano uniquely meaningful to its owner. A piano has value far beyond the cost of its replacement. We know that we are entrusted with what is perhaps the most precious possession of an individual or family, and that knowledge is the foundation of what we do and how we do it. We are thankful for the trust that you place in us to care for your piano as we just celebrated our 40th year in business.